Home chupsshop events Kicksconvention kickstogo sneakercon toy convention KICKS TOGO SHOE-TOY CON kicks off tomorrow at Ronac! 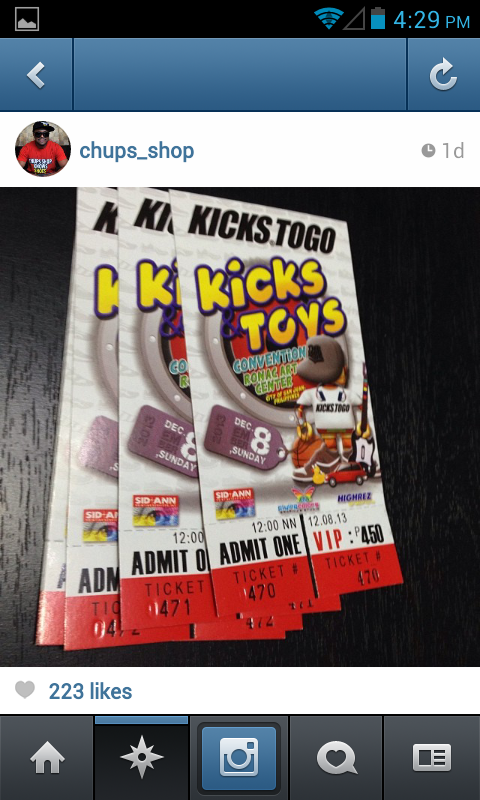 KICKS TOGO SHOE-TOY CON kicks off tomorrow at Ronac! Yes! This is the ultimate convention of the year! From the makers of ChupsShop comes a one-of-a-kind-event that is expected to that will tickle the hearts of many. KICKS®TOGO! A mixed of Toycon, Sneakercon, where both worlds will be in unison! Legit toy sellers like Bigboystore( which was previously shown in Pepitoy Manaloto), Toyscafe and many more will make collectors and hobbyists over the items/collectibles that they're going to bring tomorrow. Not only that, a bunch of Legit Sneaker sellers will be there too. Expect exclusive, rare-finds, and even custom-made kicks will make you literally want to be on their shoes. Fist bump from Master_Sniffy aka Eric Frustuoso. One of the Gwapings! From your BenteUno Family, thanks ChupsShop! Benteuno.com knows! We'll you guys posted.